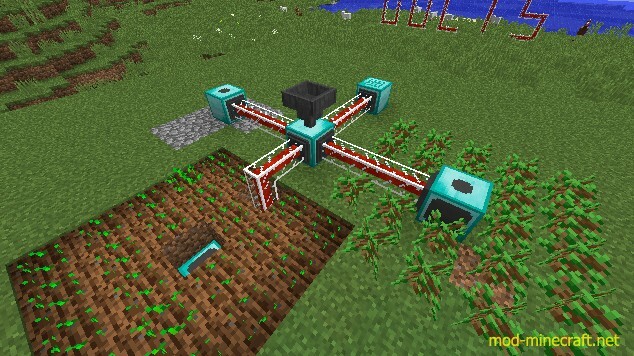 Flux Ducts Mod allows you to install a simple RF-compatible power conduit for use in Minecraft 1.8. The Redstone Flux API has not been officially updated to Minecraft 1.8. This mod was created primarily for use with Progressive Automation, which includes its own updated version of the API. This may or may not be compatible with other RF mods which may become available, but will be updated to the official API once that’s released. RF-per-tick is configurable via the config file, as is the number of ducts per crafting recipe. By default this is 320 RF/t, and 5 ducts per recipe.